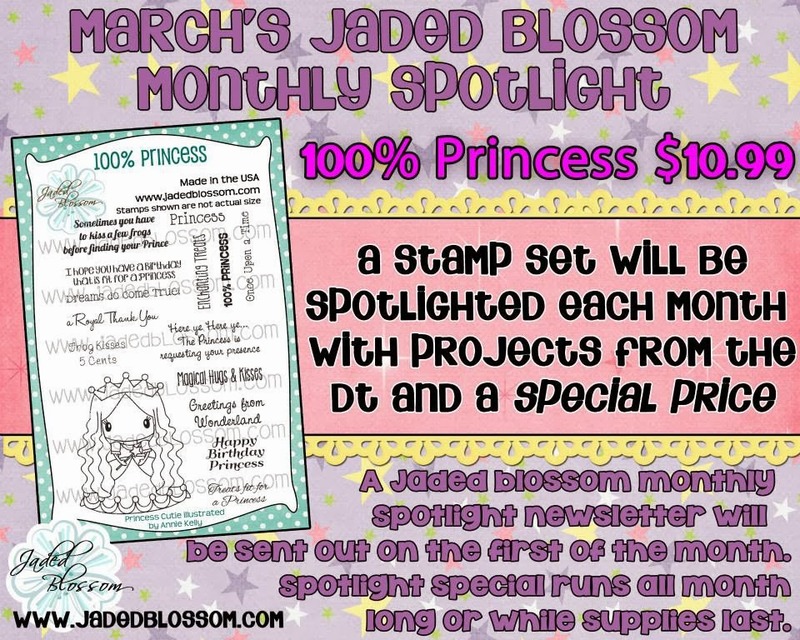 I used the Monthly Spotlight stamp set today to make my little Princess treat! I used the Jaded Blossom Fancy Topper Die, 3x4 Clear Bags and the Small flag from Flag Dies 2. 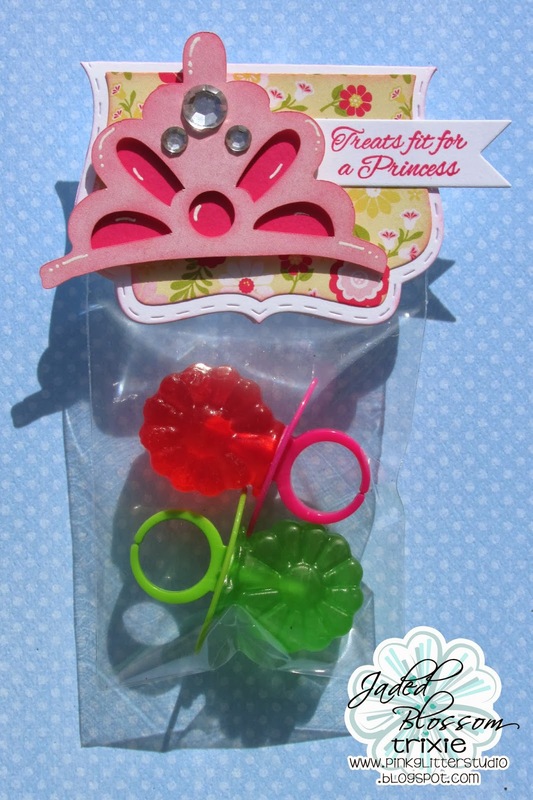 Of course the sentiment is from 100% Princess. 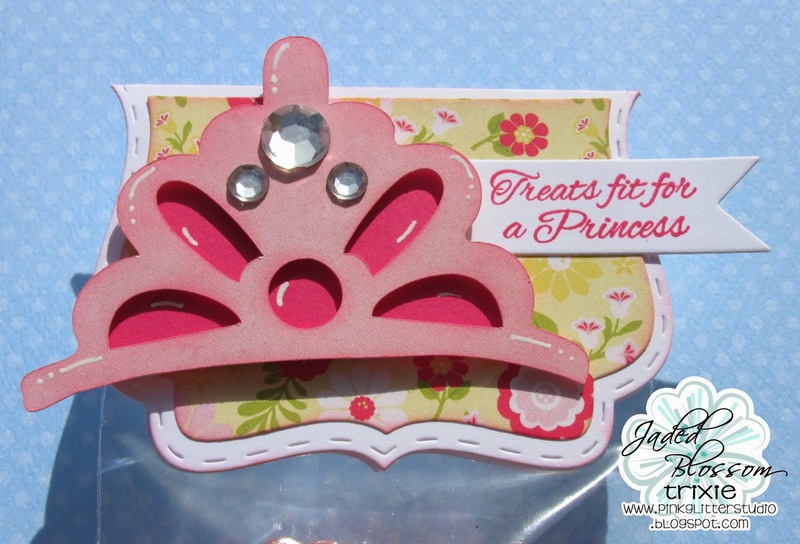 The crown is from the Princess file from SVG Cutting Files. Added some rhinestones to the crown.